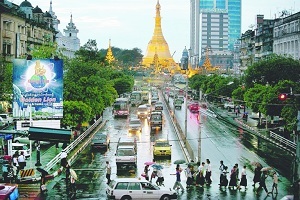 EuroCham Myanmar, together with leading European companies represented in the Construction and Infrastructure Advocacy Group, will be organising the EuroCham Construction Forum 2019 event. The forum will feature a diverse outlook on the construction industry in Myanmar covering topics such as: Infrastructure Development, Heritage Preservation and Building Technology. Expect an insightful overview and discussion on the latest trends from several vital areas of the Myanmar construction sector. The panels will feature leading private sector representatives, high-level government officials and key experts from international organisations. The main aim of the event is to gather an extensive variety of construction professionals from all branches of the sector, facilitating multi-perspective views involving local and international participants. The objective of the event is to present an update on how the construction industry of Myanmar is moving forward, and to discuss the importance of a sustainable and innovative approaches in supporting this transition. Don’t miss out on this high-level advocacy event and join us in shaping the construction sector of Myanmar. The EuroCham Construction Forum offers a variety of sponsorship opportunities. Sponsorship packages are available on request at marketing AT eurocham-myanmar.org.